We all heard that Yoruba film producer and former boyfriend of Toyin Aimakhu, Seun Egbegbe was beaten up yesterday at Computer village after picking up phones and allegedly bolting to his car without paying for them. He released a statement late yesterday trying to explain what happened but didn't make much sense but now his publicist is claiming, in a new statement, that Seun walked with phones to his car to get the money to pay for them and not to run but the sales rep raised an alarm and before he knew it, he was descended upon. Prior to the news flitering the social media about Seun Egbegbe accused of stolen iphones on tuesday 22nd Nov. at computer village, Ikeja; this is to inform the general public to debunk all negative stories published about him which is never true. 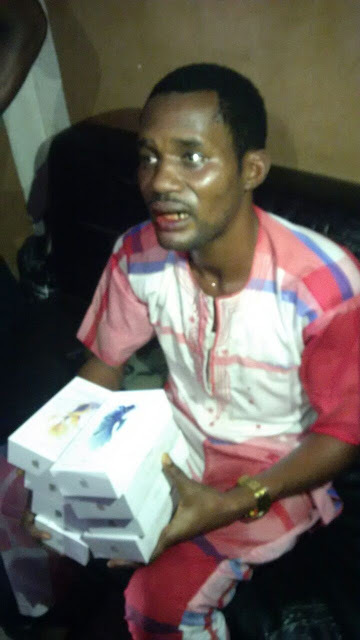 The Truth: Seun Egbegbe was at keelcech shop, located at no 9, medical road, ikeja, to purchase some phones. After making his order from the shop sales rep & walking towards his car to pay up the balance of the phones, the sales rep claimed he's bolting away with the phones which was never true. Before seun egbegbe could say a word to the angry mob around, he was attacked and lynched with no explanation. 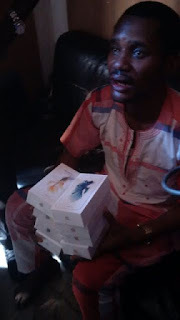 It was a known fact that; Mr Seun Egbegbe can afford to buy thousands of iphones if needed. So why would he go to steal iphones? He is a philantropist who helps multitude in our society today with his riches from God. We will authoritatively inform you that, the issue has been settled and resolved by the two parties amicably. Special thanks to the Nigeria Police Force, Media & concern Fans worldwide for their support. But always find out the fact and truth before publishing your reports or stories. Signed: Publicist/PR manager. Seun Egbegbe & Ebony films productions.